Electric garage doors are everywhere, and that can be observed by simply checking out the neighborhood around you. Our team of Electric Garage Door experts in Thornhill offers the best services in the area to keep your garage system running the way it was meant to run, as well as the best deals on professional installation, repair, and replacement. We can provide professional electric garage door repair at great prices, not just for the door itself, but also for the opener and all other aspects of the door system. 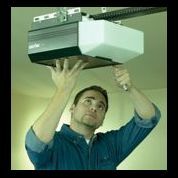 Our warehouse holds a wide variety of replacement parts for any electric door, including electric garage door openers for easy replacement of the various different parts associated with any electric door. You can be sure that when you need replacements, we’ll provide the fastest replacement of the doors for your garage in the Thornhill, ON area. If you’re upgrading your door, or are finishing the new garage, we can provide expert electric garage door installation. We’ll have the custom electric door of your choosing installed at the time that is best for you. Thornhill Garage Door Repair offers the best deals on professional door service for yourgarage, including electric garage door service repair. When things are really bad, we’ll be there to offer fast repair service so that you can get your car in or out in as short amount of time as possible. 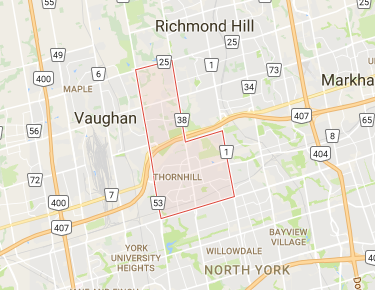 Our professionals at Garage Door Repair Thornhill are standing by for your call today. We’ll be ready to provide you with the best electric garage door services in the area at a price that can’t be matched. Our strict attention to every detail has led to us becoming one of the most sought after garage service providers in Ontario. We take pride in our craft and we enjoy providing service that truly helps our customers. Give us a call today.